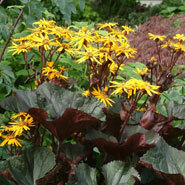 The flower factory offers thousands of perennials and can help you select the right plant for your garden. Come browse our gardens and talk to our knowledgeable staff. Use the search form below to identify plants that meet your specific needs. You can enter any combination of search parameters. Note that the results will contain plants that meet *all* criteria. Any Height 0"-10" 11"-20" 21"-30" 31"-40" 41"-50" 51"-60" 61"-70" 71"-80" 81"-90" 91"-100" 101"-110" 111"-120" 121"-130"
Choose the desired months for flowers. Leave all unchecked for "Any". 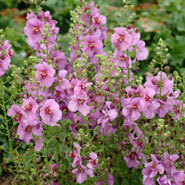 Wet tolerant, growing well in moist soils; preferably with good drainage. Plants with a * designation are recommended to survive the extremes of Wisconsin weather. Create your own personal shopping list to bring to The Flower Factory! Simply search for plants using the above criteria, then check the box next to any plant and it will be added to your plant list. Change your search as much as you like to add more plants. 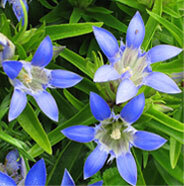 When you're ready to review and print, click Review My Plant List to finalize and print your list. Don't worry, if you missed something, you can always add more plants!